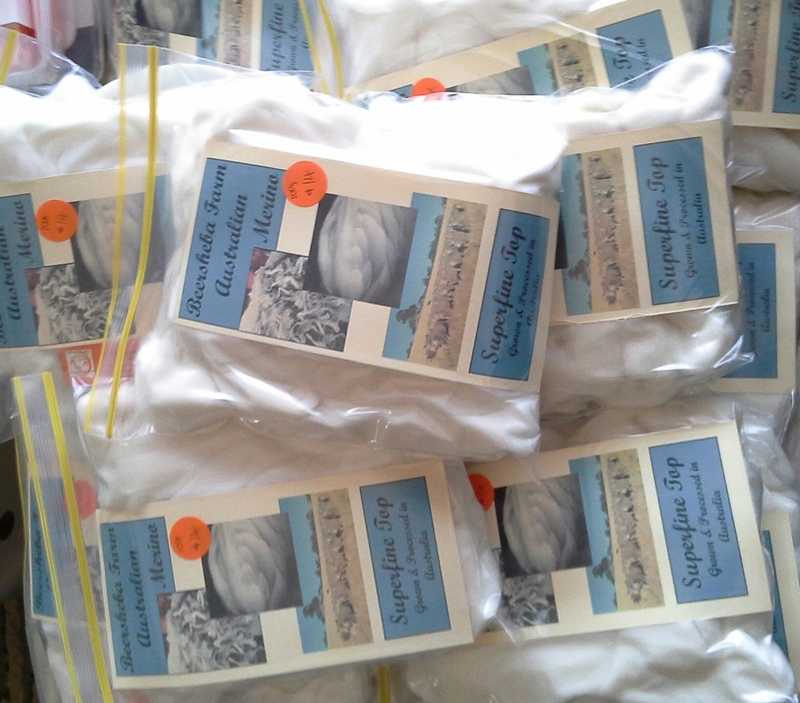 You will receive a 100g pack of Beersheba Farm (Vic) Australian superfine merino top grown and processed in Victoria. In the 18 - 18.5 micron range this gorgeous creamy white combed top is ready for spinning, wet or needle felting and handdyes readily. Good long staple with strength but yet next-to-skin softness. Beersheba Farm in Victoria is dedicated to the growing of superlative fleece for the fibre enthusiast. Running merino and drysdale sheep and through selective breeding producing high quality wool suited to the spinner or textile artist.